Did health agencies fumble Zika response? Rio de Janeiro (Reuters) – Last January, long lines formed outside health clinics in Recife, a city in Brazil’s northeast hit hard in recent years by outbreaks of dengue, a painful tropical disease. Doctors were on guard because federal health officials and the World Health Organisation (WHO) had warned 2015 would be a bad year for dengue and possibly another viral disease, chikungunya, both spread by the same type of mosquito. But the symptoms of the hundreds of people seeking treatment did not fit dengue. Instead of high fevers and intense muscular aches that dengue is known to cause, patients were running only slight temperatures and complaining of joint pain. Many had rashes sooner than with dengue and chikungunya. “We knew this was something else,” says Carlos Brito, a doctor from Recife who told state and federal health authorities in January-February last year that they were wrong to classify all the cases as dengue. “But the authorities were slow to believe,” he said. Kleber Luz, a physician in Natal, a city 300 km up the Atlantic coast, says he gave similar feedback but got the same response. The two – who were part of a group of doctors discussing the odd symptoms in text messages – grew frustrated with the authorities’ narrow focus. They asked the federal health ministry to broaden its search beyond viruses known in the area. 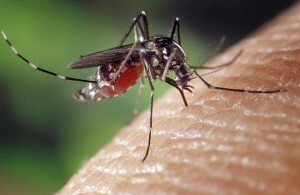 It took until early May for the health ministry to recognise that the Zika virus had arrived in Brazil and to alert the WHO’s regional arm, the Washington-based Pan American Health Organisation. And it wasn’t until November that a Rio de Janeiro laboratory made a link between the virus and microcephaly, which can lead to abnormally small brains in developing babies. The WHO has been lambasted in the past couple of years by scientists, aid organizations, and public health experts for the slow way in which it initially reacted to the Ebola epidemic as it spread across West Africa in 2014. 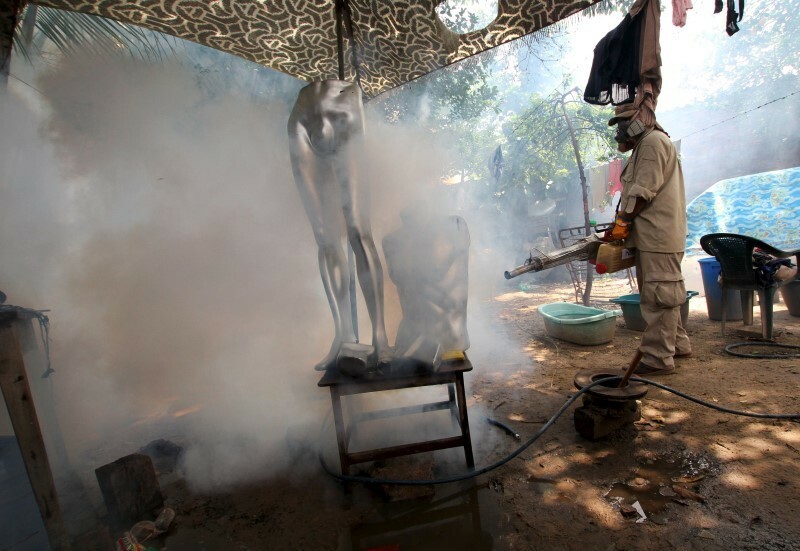 And so far, the hesitant response to the Zika outbreak, which has created the worst global health scare since Ebola, says much about the difficulties that the WHO and other health authorities face in combating unexpected public health threats. Reader-Supported Facts and Opinions is employee-owned, and survives on an honour system. Try one story at no charge; chip in at least $.27 apiece for more. If you value no-spam, no-ads, non-partisan, evidence-based, independent journalism, help us continue. Details. Centers for Disease Control and Prevention’s Public Health Image Library (PHIL), with identification number #1969. On Dec. 1, the WHO cited the lab evidence linking Zika to microcephaly in an advisory to its member countries. It will consider on Monday whether to declare an international emergency. The WHO said in Geneva on Thursday that Zika in the last few months has spread “explosively” to more than 20 other countries in the Americas and could infect as many as 4 million people. Whether the health authorities in Brazil and the leadership at the WHO have taken too long to get to this point is a subject of debate within the international health community. The Brazilian government says its response when it was first alerted by the doctors about the unusual symptoms they were seeing was driven by the evidence. And he said that when Zika was identified, the authorities’ response was based on knowledge of the disease. Previous outbreaks of Zika, a virus first identified in 1947 in Uganda, had occurred in small and scattered rural populations in Africa and Southeast Asia and the symptoms were relatively benign. Critics say that the WHO has been slow to act after the link between Zika and microcephaly was made, and should have declared an emergency as soon as that was determined. “My chief criticism is of WHO in Geneva. After being widely condemned for acting late on Ebola, it is now sitting back with Zika,” said Lawrence O. Gostin, a professor of public health law at Georgetown University, who has worked with the WHO and written extensively about pandemics and policy. WHO officials say the agency’s response to Zika is driven by science, and they point out that much remains unclear, including the precise nature of any link between Zika and microcephaly. “In any unfolding crisis you’re dealing with a lot of uncertainty,” Bruce Aylward, the WHO’s assistant director-general, told reporters on Thursday. Since October, 4,180 cases of microcephaly have been reported in Brazil but only 270 have so far been confirmed, with just six so far linked by the government to Zika. Of the rest, 3,448 are still being investigated through a long process involving clinical research, laboratory testing and monitoring of the infants’ development, and 462 were dismissed as not being microcephaly. Following the spread of the disease is difficult. Many of those who get Zika can recover quickly from only mild symptoms, and across the Americas, hospitals do not have the clinical testing materials to quickly and definitively determine whether a patient is infected. Luz, the Natal doctor, may have been the first person to make a link between the symptoms his patients had shown and Zika. After poring over scientific literature about a 2013 outbreak in French Polynesia, Luz in early March sent a text to a WhatsApp group for doctors, declaring: “I think it’s Zika.” He compared the symptoms he had seen with those reported in that outbreak. Soon, several doctors in the same region began collecting blood samples from patients and sent them to various laboratories for analysis. On April 30, a laboratory at the Federal University of Bahia, also in Brazil’s northeast, said it had identified the presence of Zika in samples from one patient. The health ministry alerted state governments. On May 2, it notified PAHO. The notification put a Zika outbreak on record at the WHO. In late May, Brito received a call from a Recife neurologist who noticed a surge of new patients with symptoms of Guillain-Barré, a little-understood autoimmune syndrome that can weaken the muscles and cause paralysis. Brito interviewed the patients, many of whom said they had previously suffered a light fever, joint pain and rashes. He collected blood samples and by June a laboratory had used genetic testing to find traces of the Zika virus. “It was real anguish,” Brito said of the patient’s suffering and the wait for official confirmation of Zika’s presence. But despite the results, there was no proof to show that it was Zika causing the syndrome. Neither the Brazilian health ministry nor PAHO heightened warnings. By September, the chat groups among doctors were abuzz over a spike in the number of babies born with microcephaly. Many mothers of affected babies recalled having Zika-type symptoms. In October, Adriana Melo, an obstetrician in the nearby state of Paraiba, noticed troubling signs in sonograms of a 34-year-old expectant mother. There were calcium deposits in the developing baby’s brain, a possible sign of viral infection. The cerebellum, the part of the brain crucial for motor control, was shrinking. Melo phoned the Oswaldo Cruz Foundation, a public health institute in Rio de Janeiro, and got a lab there to test the patient’s amniotic fluid. By then, the number of babies born with microcephaly was surging. The health ministry, now more alarmed, declared a national emergency on Nov. 11 and in public comments mentioned that there were possible ties between the condition and Zika. The WHO was not yet ready to draw the same parallels. On November 17, the Rio lab said it had found the virus in the amniotic fluid. On Nov. 28, after lab tests from another baby, Brazil’s government confirmed the link between the virus and microcephaly. Starting Nov. 30, WHO deployed a small team of researchers from PAHO’s Washington headquarters to Brazil. On December 1, PAHO issued a new advisory, warning countries in the region of the link between the virus and microcephaly. Two months later, the WHO is considering whether to declare an international emergency. “You have to gather the data,” says Marcos Espinal, director of the department of communicable diseases at PAHO, dismissing criticism that the regional body or headquarters could have moved any sooner.